Hands free loud speaking, extruded anodized aluminum. 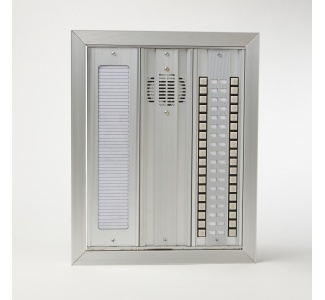 Capacity of 24 or more push buttons in groups of 4. 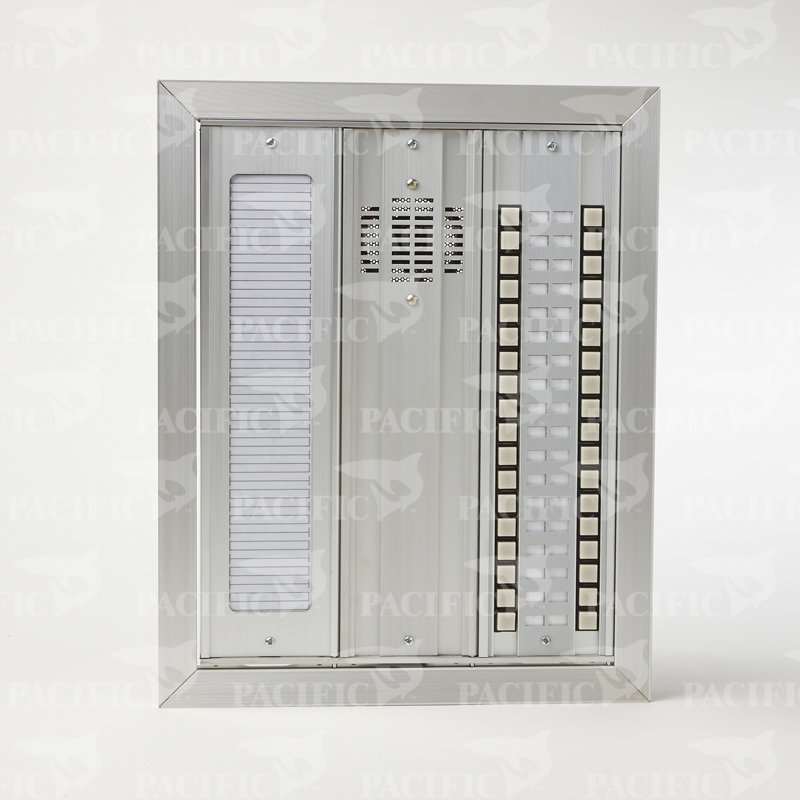 Recessed mounted to BB33 series back box or surface mounted to BB33S series back box.